The Seahorse Tavern is bourne out of the life-long passions of neighborhood locals, who wanted to bring the cuisine they love—”comfort seafood”—to the people they love—family, friends, and, of course, neighbors. Their personal touches can be tasted on the menu; dishes using the freshest locally sourced seafood, create wonderfully inspired takes and many New England classics, such as fried oysters, Peeky-toe crab dip, and lobster rolls. The personal touches flourish as well with the decor; the bar and wainscotting are built from planks from the original Coney Island boardwalk, the lights and sconces were salvaged from big ships, the mirrors and artwork are antiques, and their signature seahorse is by Hamptons artist Drew Madden. The Seahorse Tavern hopes that its history with, knowledge of, and commitment to both comfort seafood and comforting patrons will draw in neighbors, old and new, and curious and hungry visitors for a long time. 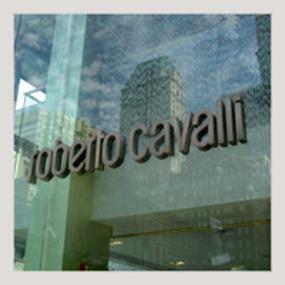 Roberto Cavalli invites you to shop with the celebrity stylist. Enjoy special signature Roberto Cavalli Vodka cocktails – Firenze, Sardinia & Leopard by mixologist Cristina Bini. Guests will receive $250 credit toward purchases that evening. On the bones of the historic Café des Artistes, which first opened in 1917 and finally shuttered in August 2009, Il Gattopardo owners Gianfranco and Paula Sorrentino are opening The Leopard at Des Artistes. A preview cocktail party for the neighborhood drew MOMA director Glenn D. Lowry and artist Leroy Neiman. The Food is Southern Italian, with a focus on Sicily, Sardinia, Campania, Basilicata, Calabria and Apulia. Though the Howard Chandler Christy murals are restored and still on the walls, the dark traditional room has been lightened and updated. Terrazzo and walnut floors have replaced carpeting, while the ceilings have been raised and the dining room and bar expanded. High floor, luxury, studio CONDO with all the amenities. Views of downtown NYC and Hudson River from this high floor, South facing apartment. It features a spacious layout with a kitchen that includes GE stainless steel refrigerator, range, microwave and dishwasher. Steps from Chelsea Piers, Meatpacking District, The Highline Park, Gallery District and Hudson River Park. Building is also investor friendly. Contact me for a showing. 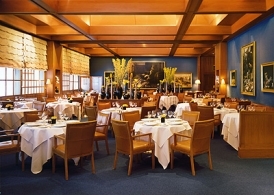 Le Bernardin is a three Michelin-starred, Zagat-rated restaurant in New York City. 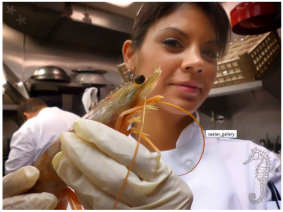 The restaurant was started in 1972 in Paris by Gilbert and Maguy le Coze and moved to New York in 1986. It specializes in seafood. Gilbert le Coze died of a heart attack in 1994 and Eric Ripert succeeded him as the head chef. 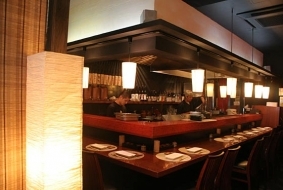 Signature dishes include Kindai maguro (sustainably raised Japanese blue fin tuna), Kobe beef and escolar. Desserts by pastry chef Michael Laiskonis include chocolate dusted with sea salt and extra virgin olive oil. 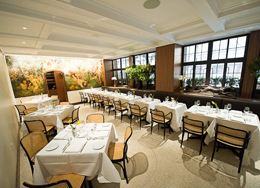 Chef Ripert has gone on to open Philadelphia’s 10 Arts by Eric Ripert and Westend Bistro by Eric Ripert in Washington D.C.
the menu extends beyond chicken kebabs, with noodles and soups, tofu skewers in a dark miso sauce, and a smattering of seafood. Many renters seem surprised by the tight inventory and higher prices that have occurred in the New York rental market recently. Clients are seeking assistance to find a new home with only a couple of weeks and sometimes days left on their current leases after becoming frustrated by searching on their own. Due to this environment, I am advising clients to have their financial requirements together before we begin the search so that we can move fast when we find an apartment that they like. I am also advising them to start their search a little earlier than they might normally. This makes the hunt for a new apartment less stressful for the tenant and also makes it more likely that they will be accepted once we find a potential apartment. It can be very disappointing for a client to find a great apartment only to lose it due to being too slow with the required paperwork. 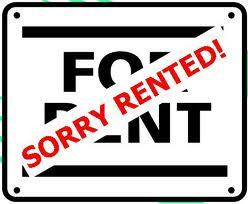 The full article of the NY Times article, “You Say You’re A Dream Renter, Prove It” is here. 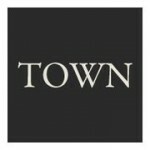 TOWN also has an excellent renter guide that you can refer to to help with questions. Please feel free to contact me if I can be of any assistance. Pat and Gina Neely the stars of Down Home with the Neelys on the Food Network will open their first New York restaurant, Neely’s Barbecue Parlor, on the Upper East Side in the old Merchants NY space next Wednesday. Pat and his brothers opened their first barbecue joint in Memphis and 1988, and it grew into a small chain with three locations in the South and one retail store in the Nashville airport. For the Manhattan project, the Neelys are working with Abraham Merchant of Merchants Hospitality and Chef Wade Burch who will run the day to day operations of the kitchen. The restaurant itself spans a number of rooms and is meant to look like a sprawling Southern home (one that is dotted with little pig statuettes) with a den, a porch, a parlor with a fireplace, and a bar and dining room. As for the menu, there’s plenty of ribs in a variety of sizes and style, pulled pork, ribeye steak, and beef brisket.